"An insider's look at the creation of the wizarding world's favorite sport, complete with a customizable 3D Golden Snitch wood model! Quidditch is beloved by witches and wizards all over the wizarding world. With this deluxe model and book set, get a behind-the-scenes look at how Quidditch was imagined and brought to life for the Harry Potter films--complete with insights from the actors, filmmaking secrets, and thrilling artwork. 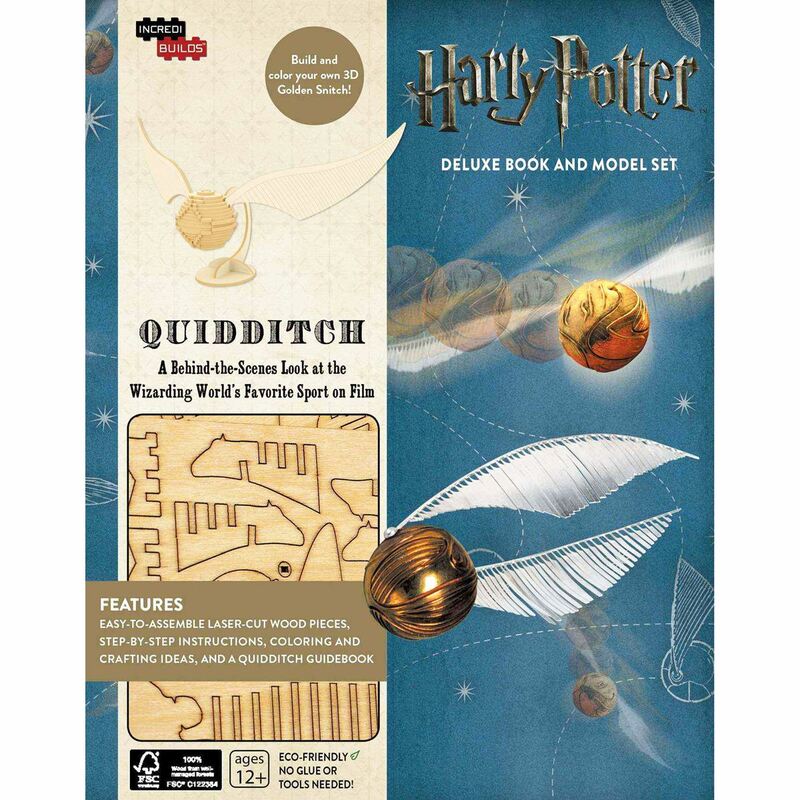 This must-have package also includes everything you need to create your own customizable Golden Snitch wood model.